Legal & General has acquired a 78-acre site in Shrivenham, Oxfordshire with outline planning for 515 new homes. It is the third major site being brought forward by the firm’s house building arm Legal & General Homes bringing its housing pipeline to over 3,000 new homes. Construction for the first phase of new homes is due to start at the end of next year. Around 180 homes will be affordable and Legal & General will look to use modular construction from its factory in Leeds for this element of the site. Legal & General Homes already has two large consented schemes in Berkshire. 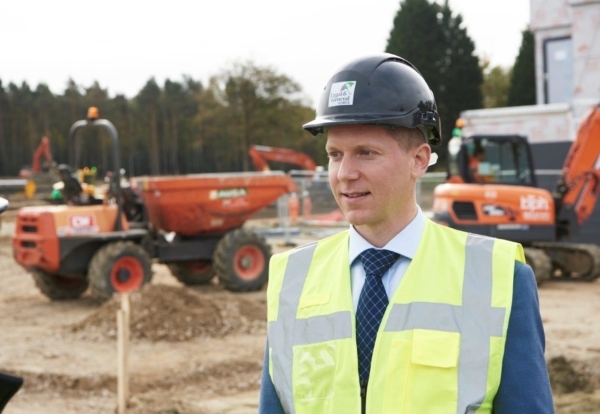 It is now on site building 1,000 new homes on a 250 acre site in Crowthorne and will also begin on site on 1,500 new homes at the 272 acre site in Finchampstead at the end of next year. James Lidgate, CEO of Legal & General Homes, said: “As well as addressing the chronic shortfall of housing in the UK, Legal & General Homes is looking to regenerate the UK’s landscape for the better and build vibrant communities where people want to live, such as this sought after location in Oxfordshire. “Using Legal & General’s long term capital, we are seeking to create a legacy that we are proud of.